Would anybody like to offer an opinion here? Ah, very interesting. This is the first time we have seen this technique here. Good knowledge! 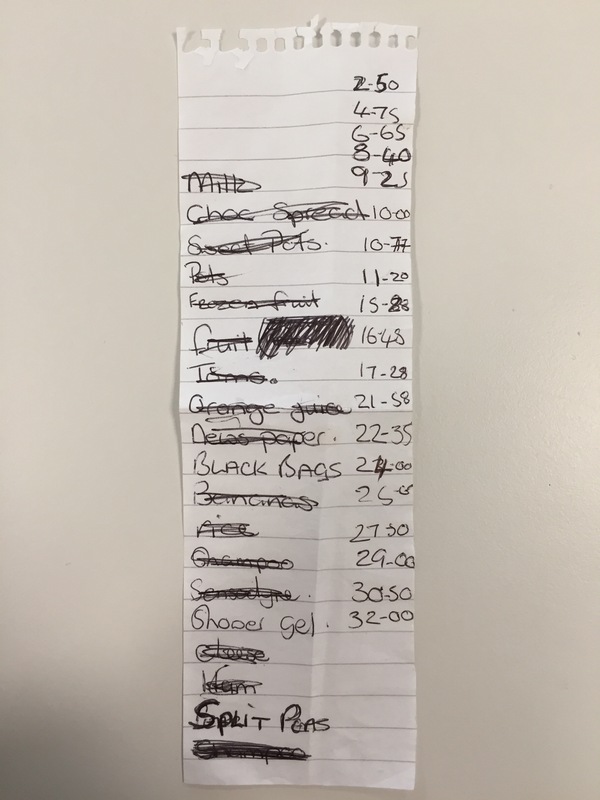 There are 19 items on the list and 19 lines as they keep the running total, so they seem to match up. They might just have started further up the page as they didn’t think they would have enough room to list the prices. Not sure why they didn’t start their list at the top of the page though.